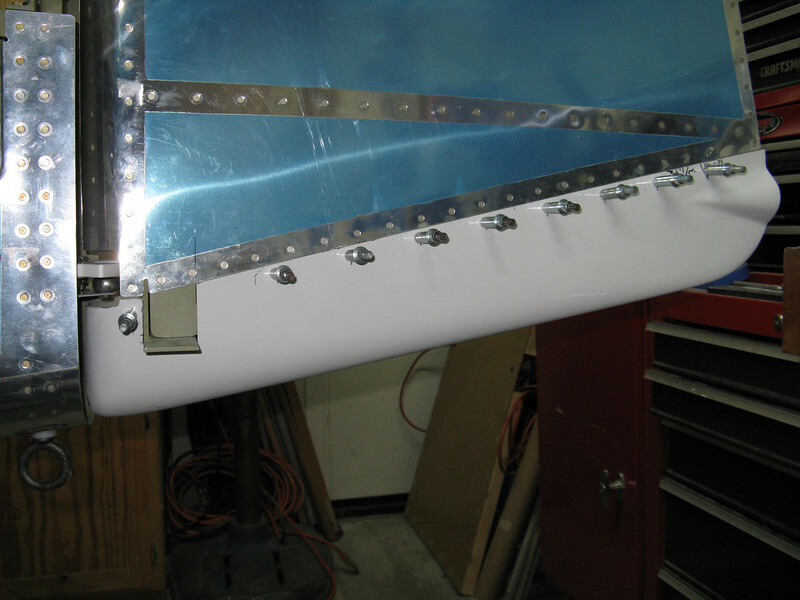 Initial fitting of the rudder bottom was really poor. You need to take the scribe lines embedded in the part as just a suggested cut line. They were off considerably. I needed to move the forward section up to match the lines of the bottom of the fuselage. Eventually this will be held on with screws and nutplates so that the wiring for the position light and strobe can be accessed.